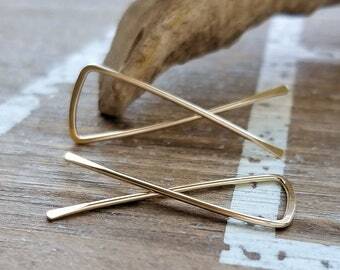 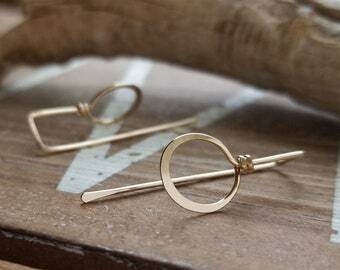 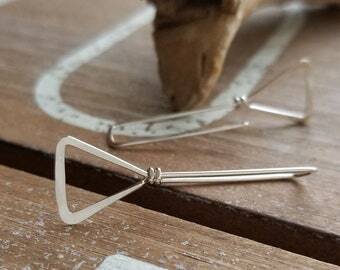 My Triangle Drop earrings in 14k Gold Filled (rose or yellow) would make a lovely statement. 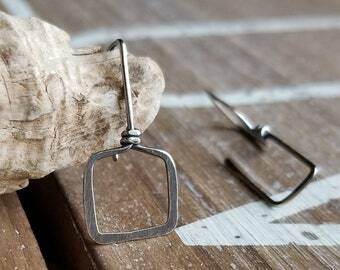 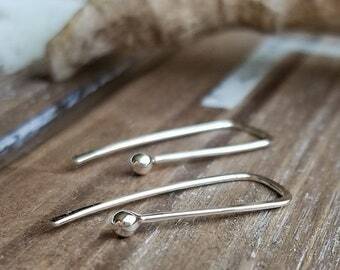 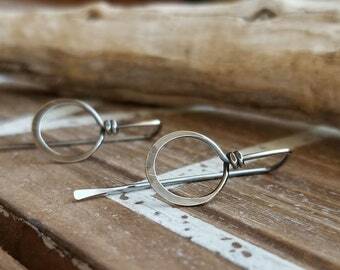 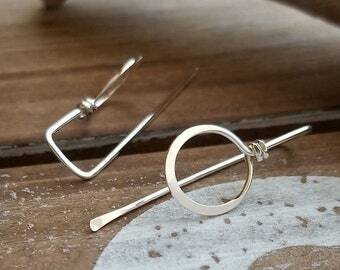 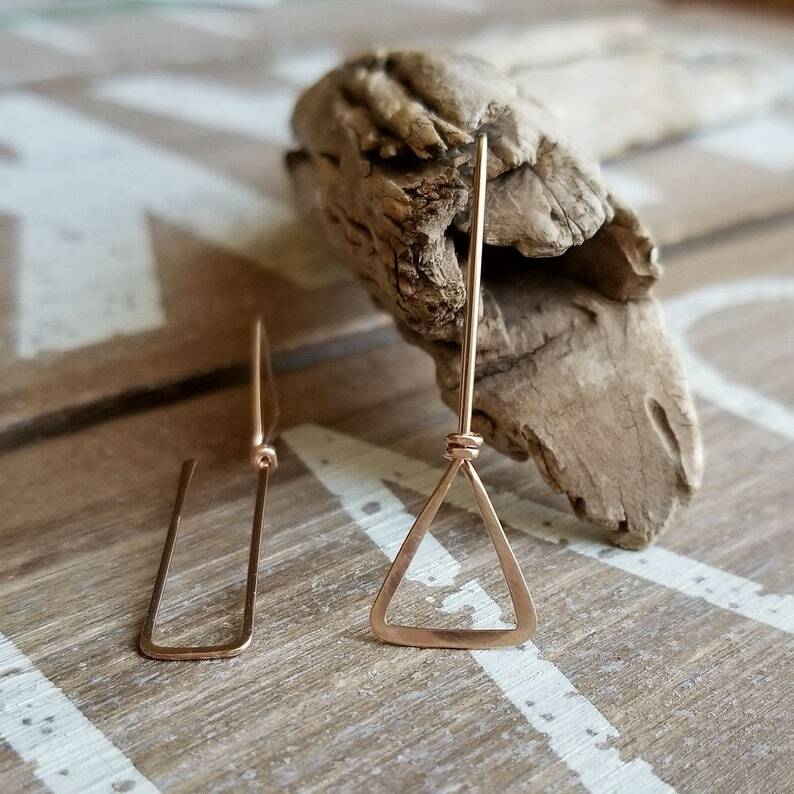 These geometric beauties have a hammered and brushed triangle with a skinny rectangle wire threader. 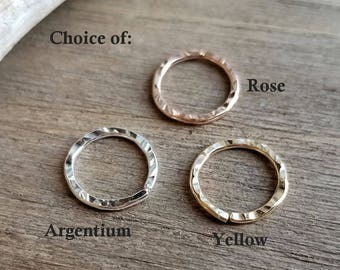 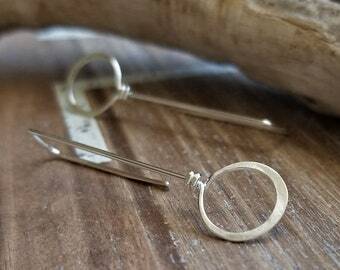 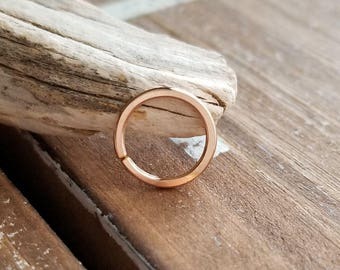 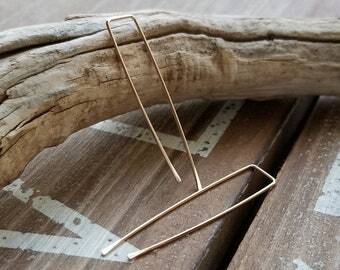 In your selected metal choice, I create these slender earrings with a very long piece of 20g 14k Gold Filled wire, wrap each one into a triangle and then onto the long rectangle threader. 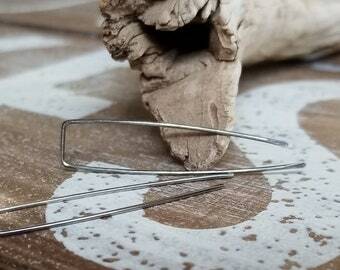 For more of a statement, I hammer the triangle and give it a brushed finish. 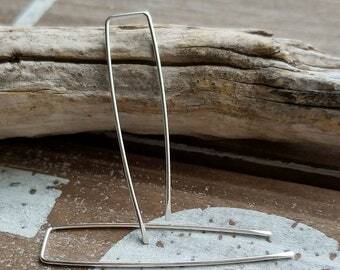 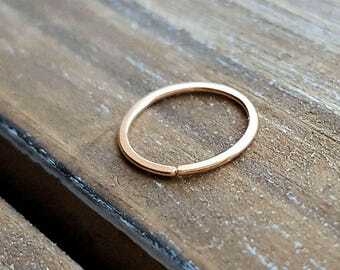 I also hammer the tops & the ends, and file the ends for comfort - no sharp edges. 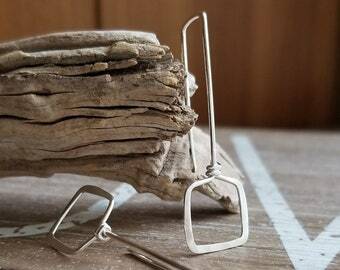 After a tumble polish, they are ready to go.